This week’s blog is about tips for headhunting and recruiting new employees for your team. Headhunting and active recruiting is distinct from posting on job boards and in taking incoming resumes. This article is about the best ways and tips for proactively acquiring top talent, otherwise known as headhunting. Proactively recruiting or head hunting will give you a competitive edge in acquiring top talent and over your competition. First, for any given position that you’re recruiting for, you need to be 100% clear about what you need for that role. Clarity is the first place to start and is critical because without it you will never be able to find what you want! You should sit with your team, stakeholders, mentors or outside resources to write up a good job description for the role. Before writing a description though, be sure that you know what you need for your team. What type of experience do you need for the open role? Do you require somebody with management experience? If so, how many years? Does this person need to have a specific skill set? Do they need to be skilled in a particular technology? The list goes on, but be sure you set out all of the important questions you’ll need to ask to create your ideal candidate. One thing that is also important is getting clear about what the personality for this person should be. They will need to be able to be a fit in your company culture. On a separate note, having a defined company culture is the first step to being able to interview for culture. Interviewing for culture is a separate topic that we will discuss in another blog. Once you get extremely clear on what you need for your next hire, you’ll be set to succeed and able to focus on exactly what you want. It’s important to note that you should be open to adjusting this along the way. When you start interviewing people you may realize there are certain things that you really need and certain things that you don’t. So you won’t be stuck with this description, but you want to have a very solid and precise place to start from. You’re going to want to advertise your job in someway, but I don’t recommend posting on a lot of job boards. As a recruiting strategy, posting on job boards may become a secondary thing that you do. You need to have a good career portal on your website. This is a place that you can direct people to apply into your database so that you can process them as a candidate. This is very important as potential candidates will need a simple process to follow in order for you to move them through quickly. The next point is that you want to have a well flushed out and well thought out interview process. This will easily move potential candidates through your process and leave them with a good experience of your company. They have a good experience of your company and they will be left with your brand and your culture when moving through your interview cycle. You don’t want to ever have any candidate have a bad experience moving through your interview cycle. Next, you will likely need to do some research as to where your ideal candidate lives. It’s likely they are with at least some form of your competition. You may know about some of your competitors, but it’s likely you don’t know a lot about many of them. The best place to start is making a list of competitive companies or companies where your ideal person might be. You can leverage resources like LinkedIn, other social media and Google. Start to hunt these people down and then you will need to do a lot of outbound contact to reach the right people. Sometimes the toughest part in having a headhunting strategy is the volume that is required. 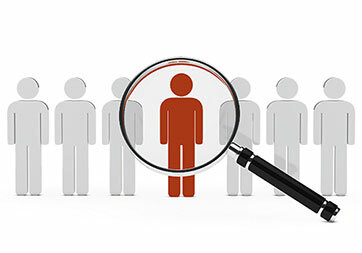 Many people who start headhunting think they’ll reach out to 10 ideal candidates and that they will get one of them. Unfortunately, it never works that way. Most of the rolls we fill for our clients take us contacting 500 to 1,000 people in order to find a suitable candidate. You need to be prepared to do the volume of outreach, the work and spend the time to find that right person. If this is something that you can’t do, hire someone to do it for you. You can hire a solid recruiter who knows your business, knows what they’re doing and can do this work on your behalf. It’s very important to have a streamlined interview process, especially in today’s candidate driven market. If your interview process is too long or drawn out, you’re likely to lose candidates to other offers or companies that are moving faster. You’ve also got to make sure that you can compete from a salary perspective. You need to have a good strategy from start to finish in order to have an effective recruiting or headhunting experience. You need to start with a clear and concise view of what you need and what you will be looking for. Only then will you be able to hone in on what is needed. If this step isn’t followed you could waste a lot of time spinning your wheels with people who aren’t what you really need. Avoid job boards or at least don’t rely solely on them to produce any real result. Find out where your talent is, do the legwork and research so you know where to get the people that you need for your team. Likely they are with your competition, so know your competition. A concise interview process that flows well will leave candidates with a good experience of your company, brand and culture. Have a process that moves quickly so that you don’t lose candidates to other companies that move faster. Lastly, be ready and able to spend the time to put in the sheer volume required to head home effectively. If this all seems like a lot of work, it is! That’s why headhunting companies like us exist! If you ever need extra help feel free to contact us.